No need to be lost in the dark when it comes to contemporary lighting—here are 11 of our favorite pieces. From futuristic table lamps to a modern menorah that certainly calls for a "Mazel Tov," these fixtures are sure to make any space instantly brighter. Lightweight and powerful, the low-energy, high-output Channel series is the epitome of sleek modern styling. The floor lamp brings clean lines to any room and looks spectacular next to contemporary low-slung sofas and mid-century modern classics alike. Brian Schmitt slip-cast two pendant light silhouettes—slender and squat—in translucent porcelain. When turned on, each emits a warm glow. The fabric-wrapped cords come in three colors: nougat, teal and grey. Winner of 2012 Dwell on Design Award for Best Lighting. This is the world's first designer energy-saving lightbulb—a sculptural piece so lovely, you’ll be reluctant to use a shade. Check out this product here. 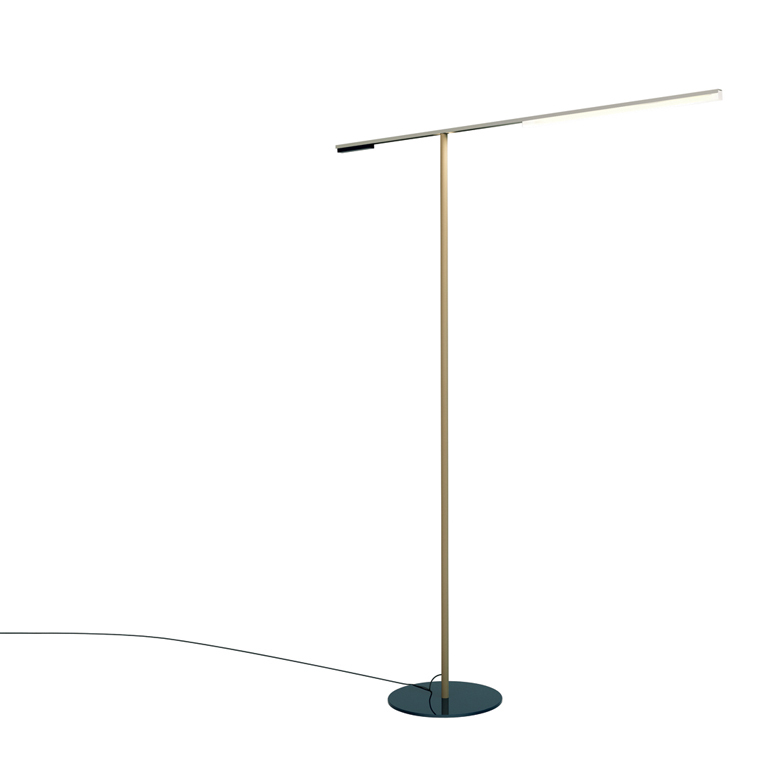 The cord—usually the afterthought of any lamp—shines in this simple, clever lighting solution. Supported by a near-invisible clear frame, the orange cord offers shade, base, and power to this unexpected piece. You can find this minimalist fixture here. Create your own “altered” space with this handcrafted tea light totem. The piece provides a quiet moment of warm contemplation wherever it’s displayed. We suggest grouping a cluster of these for a dramatic illuminated effect on a mantle or table. This die-cut fabric pendant lamp has a structural, geometric presence and adds a bright, modern ambience to any room. The shape was inspired by the conceptual 1970s designs of the avant-garde architectural group Archigram. A smaller version of a design classic, this lamp plays with contrasts: What looks like a cool block of ice heats up when the light is switched on. The Block Lamp has won numerous awards and is part of MoMA’s permanent collection. This lamp is sure to make any space instantly cool. We love this lamp for its brilliant design features, including an etched lens that gently diffuses the light of its LED bulbs for comfortable task work. A single wooden dowel and metal base combine to create a clean and simple modern style statement. Anglepoise has reissued this industrial favorite created in 1934 by factory engineer George Carwardine. Ideal for task lighting, the 1227 has long been considered a classic for its fine construction and easy adjustability. This utility lamp is also available in three other colors. With a slender body and easy-to-move rotating arm, the Pixo light from Pablo Designs is a stylish, multifunctional task lamp. Fashioned with modern design in mind, this sleek illuminator comes equipped with a convenient USB port to charge your mobile devices and boasts energy-efficient LED technology.